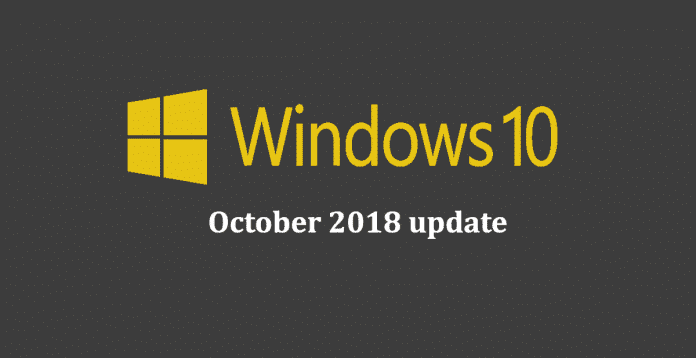 Amidst the chaos created due to Microsoft users complaining of data loss caused by rollout of Windows 10 October 2018 update (version 1809), Microsoft has gone ahead and updated its Windows Processor Requirements page for the new version of the OS. The main modification is that it now supports Qualcomm’s upcoming Snapdragon 850 chipset. For standard versions of Windows 10 version 1809, it officially supports up to 8th-gen Intel Core processors (Intel Core i3/i5/i7-8xxxK/U/G), 7th Generation Xeon E3-xxxx v6***, and the current Intel Atom (J4xxx/J5xxx and N4xxx/N5xxx), Celeron and Pentium Processors. On the AMD front, it supports up to 7th Generation Processors (A-Series Ax-9xxx & E-Series Ex-9xxx & FX-9xxx), AMD Athlon 2xx processors, AMD Ryzen 3/5/7 2xxx, AMD Opteron**** and AMD EPYC 7xxxx****. Additionally, it also supports the Qualcomm Snapdragon 850. Windows 10 Pro for Workstations and Enterprise also get support up to Intel’s 7th Generation Xeon CPUs, along with AMD’s Opteron and EPYC chips, along with AMD 7th Generation Processors (A-Series Ax-9xxx & E-Series Ex-9xxx & FX-9xxx), AMD Athlon 2xx processors, AMD Ryzen 3/5/7 2xxx, AMD Opteron**** and AMD EPYC 7xxxx****. However, the new LTSC (Long-Term Servicing Channel) release of Windows 10 Enterprise does not support Qualcomm Snapdragon 850. *** Intel Xeon processors are supported on Windows 10 Pro for Workstations and Windows 10 Enterprise only. **** AMD Opteron and AMD EPYC processors are supported on Windows 10 Pro for Workstations and Windows 10 Enterprise only. The options for Windows 10 IoT Core 1809 (SAC and LTSC) haven’t changed on the official page, although support for NXP processors, including the i.MX 6, i.MX7, and i.MX 8M families is coming soon. Windows 10 IoT Enterprise officially supports up to Intel 8th Generation Processors (Intel Core i3/i5/i7-8xxxK/U/G) and through current Intel Atom (J4xxx/J5xxx and N4xxx/N5xxx), Celeron and Pentium Processors. Additionally, it also supports AMD 7th Generation Processors (A-Series Ax-9xxx & E-Series Ex-9xxx & FX-9xxx), and AMD Ryzen 3/5/7 2xxx. Further, Windows Server 2019 supports up to Intel 7th Generation Processors (Core i3-7xxxx/Celeron/Pentium; Xeon E3 v6; Xeon E21xx; Xeon SP 31xx, 41xx, 51xx, 61xx, and 81xx; and Xeon D 15xx), and Atom C33xx. In the AMD family, it supports up to 7th generation processors (AMD A-Series Ax-9xxx & E-Series Ex-9xxx & FX-9xxx), AMD Ryzen Family, and AMD EPYC 7xxxx. Finally, the last Windows 10 LTSC release was version 1607, which only supported up to 7th generation Intel Core and Xeon chips, along with AMD 7th generation CPUs. It does not have Ryzen support.